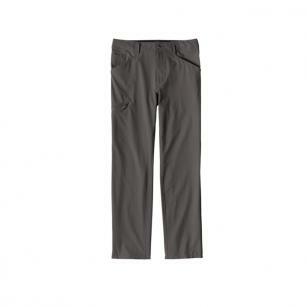 Multifunctional, all-season pants made of a strong, lightweight, quick-drying, stretch-woven 94% nylon (62% recycled)/6% elastane with 50+ UPF sun protection and a DWR (durable water repellent) finish. 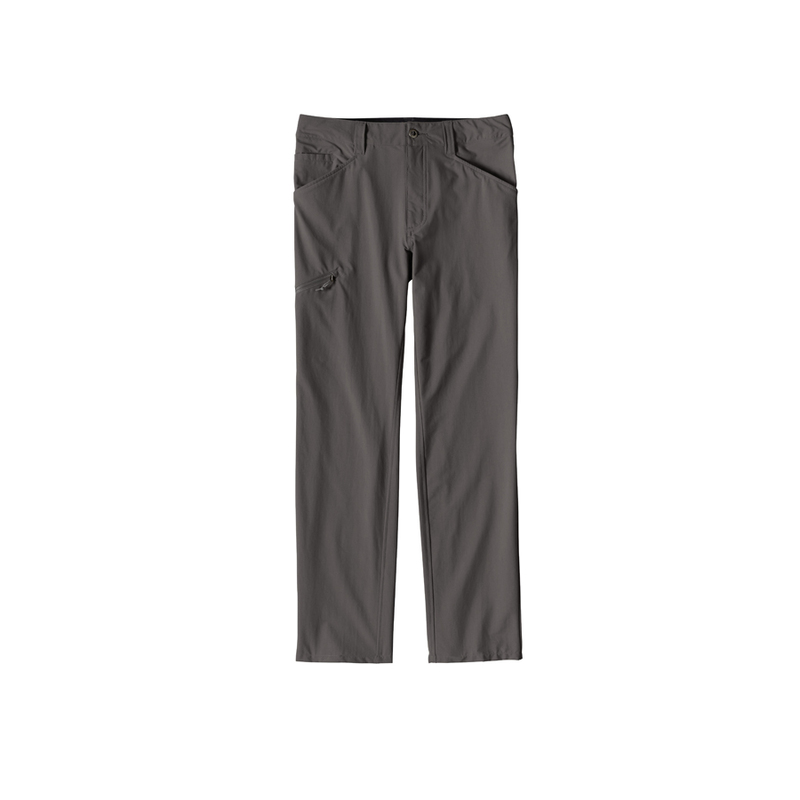 Tough and technical, these movement-oriented pants provide comfort and performance for exploring the wildest places. Made of a strong, lightweight and quick-drying 94% nylon (62% recycled)/6% elastane fabric, they give you plenty of flex for a week on the trail and have a weather-resistant DWR (durable water repellent) finish to resist mist and drizzle. The curved waistband follows the contours of your hips for a personalized fit, while a gusseted crotch and knee articulation allow a full range of motion. They have front handwarmer pockets (right one has a coin pocket), two rear pockets and a side leg pocket with security zipper to keep you organized so you know exactly where you put your keys (yeah, right). Details include reinforced wide belt loops, zip fly with metal web-button closure and 50+ UPF sun protection. 4.2-oz 94% nylon (62% recycled)/6% elastane with a DWR (durable water repellent) finish and 50+ UPF sun protection.